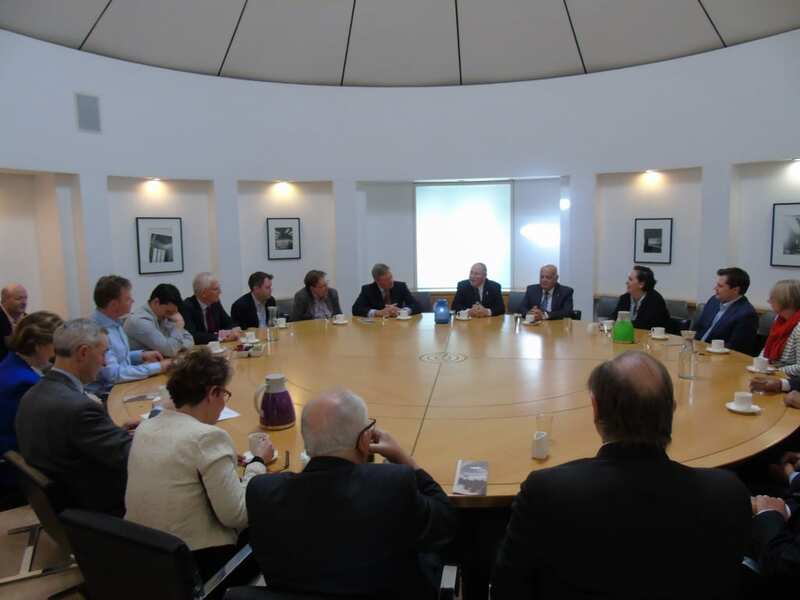 Participants: CFI Vice Chairman, John Howell OBE MP, Edward Argar MP, Chris Davies MP, Robert Jenrick MP, Craig Mackinlay MP, Johnny Mercer MP, Amanda Milling MP, Maggie Throup MP, and Craig Tracey MP. 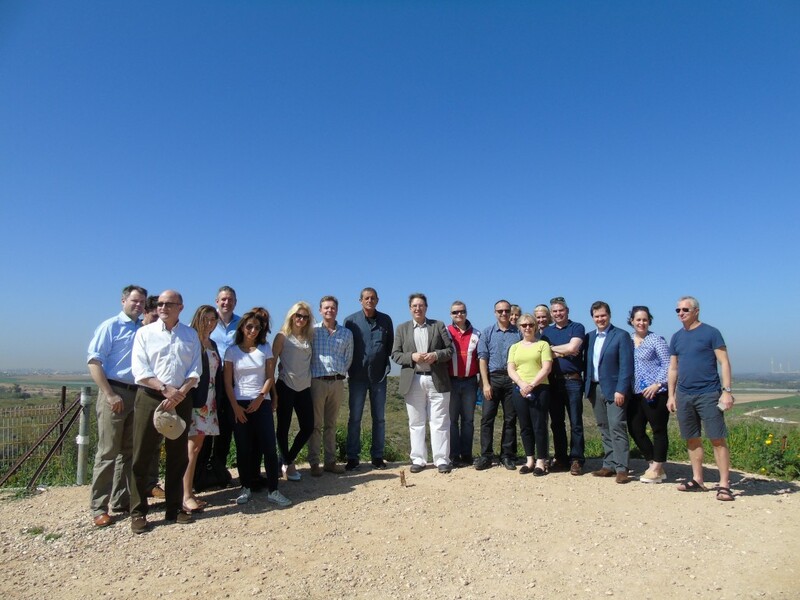 Last week, CFI led a parliamentary delegation to Israel and the West Bank with nine Conservative MPs – six of whom were elected in May 2015 and visiting for the first time. The visit coincided with Cabinet Office Minister, Rt. Hon. 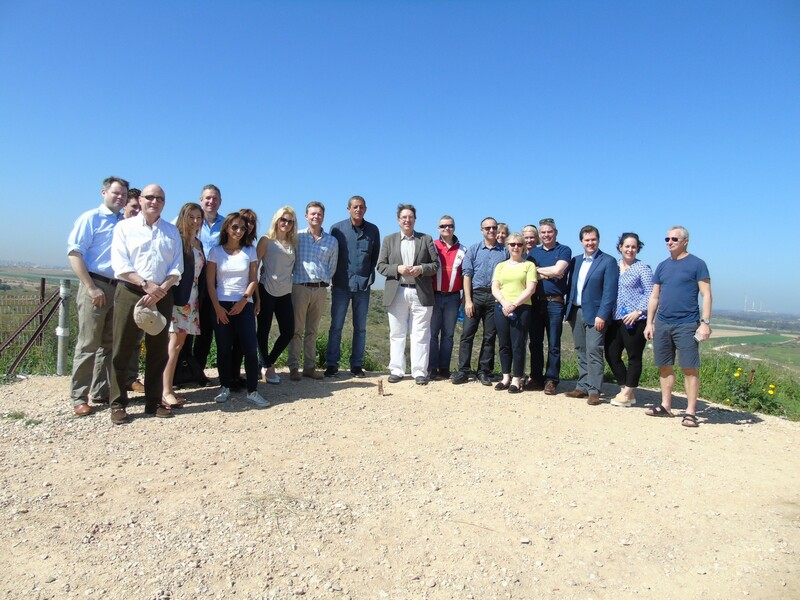 Matthew Hancock MP’s high-profile trade mission to Israel, where he announced the UK Government’s new guidelines to curtail anti-Israel boycotts. 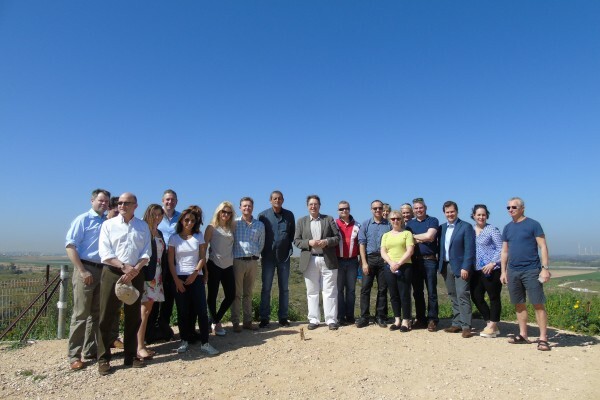 Minister For the Middle East, Tobias Ellwood MP, was also in Israel at the same time for discussions with Israeli officials, and championed flourishing business ties between the UK and Israel. 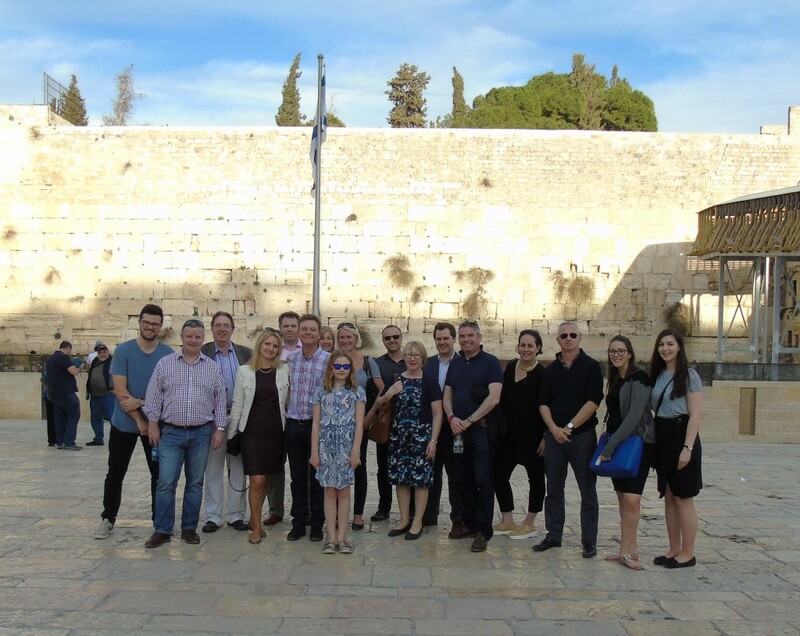 Simultaneously, the first ever cross-party delegation of peers to visit Israel took place last week, with 11 members of the House of Lords present, including five Conservatives. 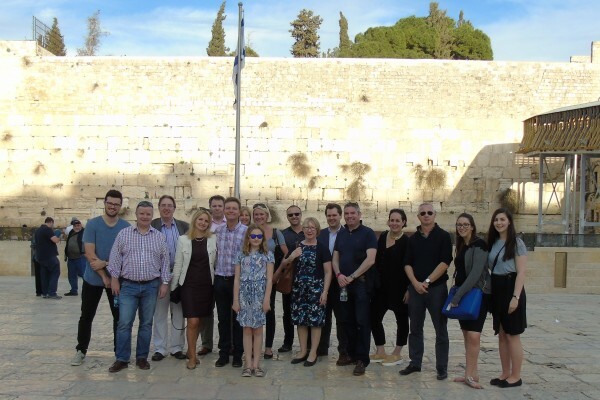 The CFI delegation featured a full itinerary of political and security briefings, giving the group a first-hand look at the latest situation in Israel. The centrepoint of the visit was a high-profile meeting with Israel’s Prime Minister Benjamin Netanyahu for the announcement of the UK Government’s plans to stop local councils boycotting Israel, which was given by Cabinet Minister, Rt. Hon. Matthew Hancock MP. On Tuesday, the delegates met with Justice Elyakim Rubinstein at the Supreme Court in Jerusalem, where they had the opportunity to ask questions on the Israeli judicial system. 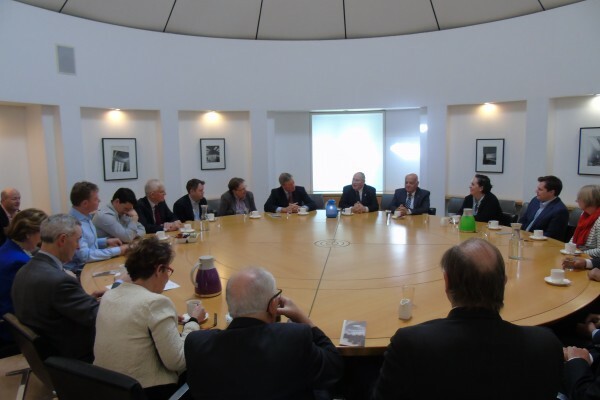 On Wednesday evening, the group met with British Ambassador to Israel, H.E. 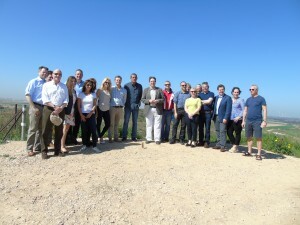 David Quarrey, at his residence in Tel Aviv, where they also received a briefing from the UK Israel Tech Hub. 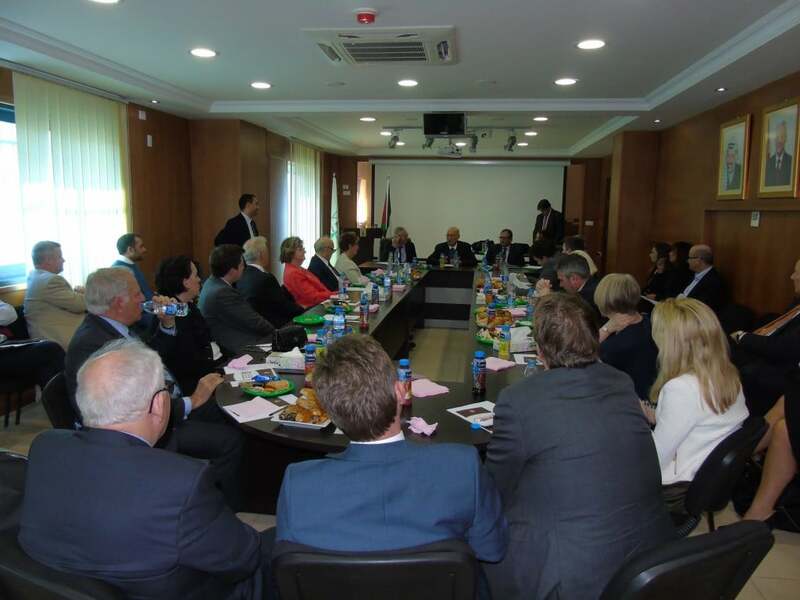 During their visit, the delegation also met with Dana Weiss, anchor on Israel’s Channel 2 News, and Professor. Reuven Hazan, who informed MPs about Israel’s colourful political system. In Holon, the delegation visited Save a Child’s Heart to meet Palestinian children receiving life-saving heart surgery. 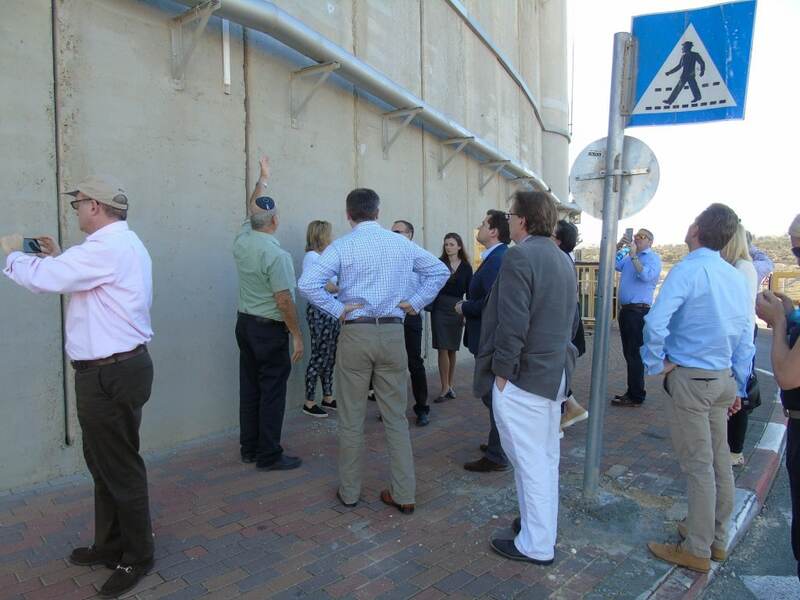 This was followed by a comprehensive tour of Israel’s security barrier by Col. Dany Tirza, the chief architect of the project, who explained that 95% of the barrier consisted of chain-link fence and had been constructed as a response to Palestinian suicide attacks during the Second Intifada. 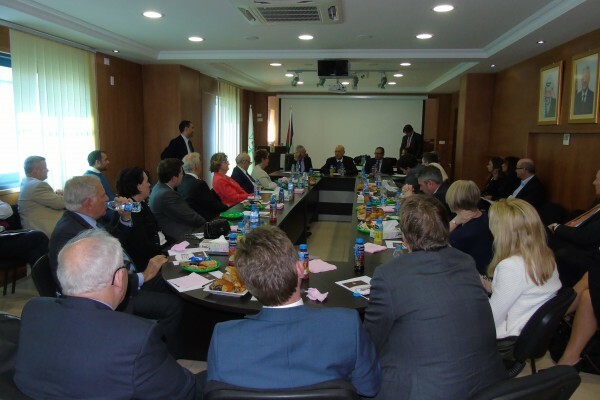 In Ramallah, delegates met and had lunch with senior Palestinian officials including former chief negotiator Nabil Shaath, Palestinian Ambassador to the Vatican, H.E. Issa Kassissieh, and Dr. Hanna Amira. 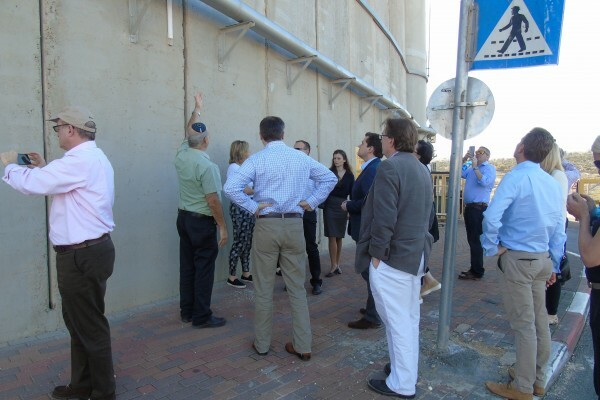 The CFI visit gained widespread media coverage, including in Haaretz, The Times of Israel, the Jewish Chronicle, and the Jewish News.